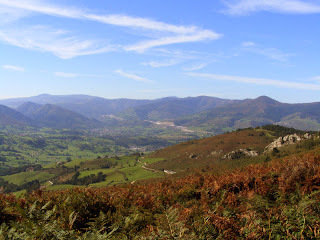 After coming from the cold of Prague, I decided to take the opportunity to enjoy the temperature of my region, Cantabria, which is still very good (October). 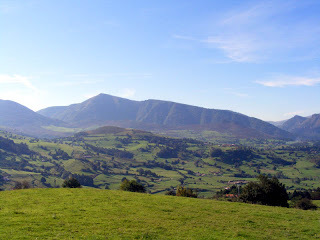 Cantabria is a region in the north of Spain with a lot of hidden treasures that every good traveller should discover. People living here have the luck to enjoy delicious food, beautiful beaches and a extraordinary rich rural environment with green mountains and forests. All in a very small region with good transport connections by train, bus, car and plane (you can come now through Ryanair from several countries). 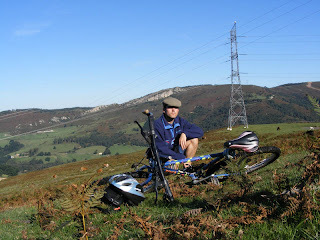 One of the best ways to discover the rural Cantabria is by bike. For that, you will find very useful a great website called http://www.cantabriaenbici.com which has been created by my boss, Michael, and his cycling friends. The website has all the necessary indications to be successful in your route, including GPS maps that can be imported in Google Earth to get an impressive 3-dimensional overview of your next adventure! 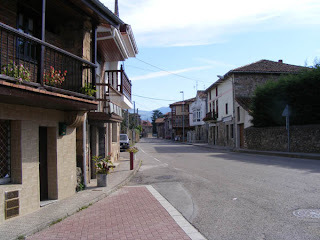 I decided to do the route number 33 that starts and finishes in the village of Arenas de Iguña (the routes are planned to be in circle so you can go with a car or as in this case, by train). I took one of the first RENFE trains at 8:18 in Santander (trains are very handy because you can carry your bike inside) and around 9:15 I was in Arenas de Iguña. 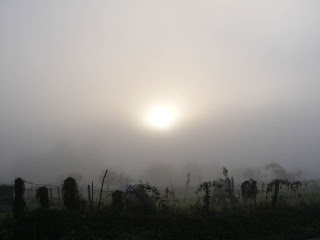 The village was completely covered by the fog and the dew of the morning and it was a bit cold. Soon, as the sun went up, they dissapeared leaving room for an intese blue sky. I had written down in a paper the GPS coordenates of the most important points in the route and although sometimes I had some difficulties because there were a lot of diversions, I managed to find my way easily (for the next time I will take note of more points hehe). 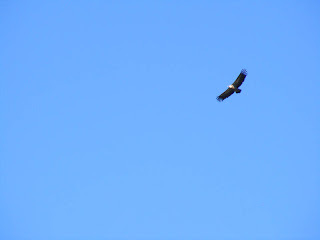 On the way up I saw a bird that I thought it could be an alimoche like the one that Michael saw when he did the route, but now I think it's a vulture. Anyway, I think it's a beautiful bird haha. I took a pic of myself on a hill with the English hat I bought in Oxford. Maybe I will make a new tradition of it, hehe. I had the bad luck of having a big puncture. It was so big that I had to mend it with two patches but it wasn't enough!! I had taken with me two spare inner tubes but, murphy's law, I forgot to take a spanner as well!! The rest of the route I had to fill the wheels all the time and walk a little bit. A new lesson learned, hehe!